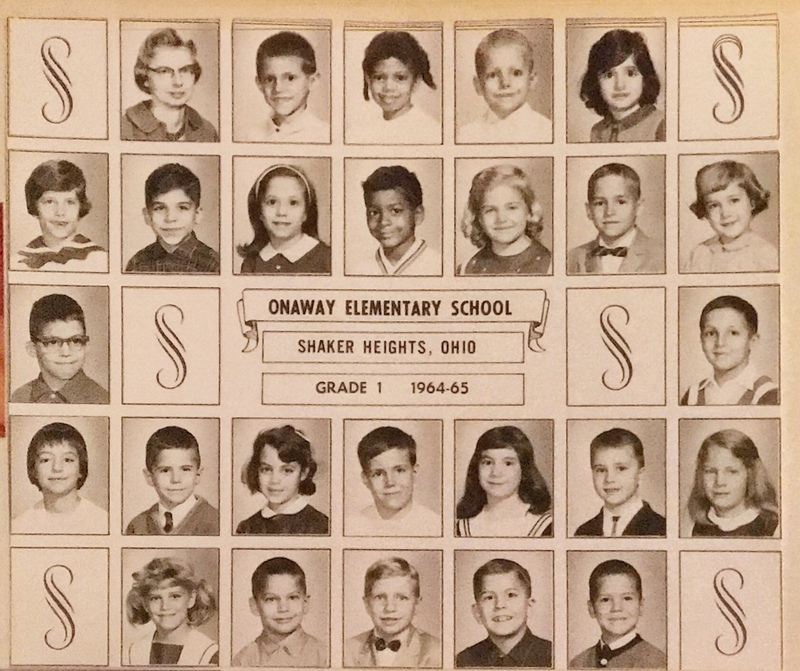 Onaway Elementary School, Shaker Heights Ohio. Grade 1 class photo; John Cremer Young, bottom row center. Much thanks to Mary for this class photo. My family had moved to Cleveland Heights and I was at Roxboro Elementary. I was hoping, at some point, to be in the same class with Cremer. While we were the same age, I had been held back due to my late fall birthdate. Cremer’s photo is smack dab in the center of the bottom row. If you’re in this photo, please identify your picture in the comments. The teacher at the top left was os Miss Kerr. I was in first grade with Cremer, but he was held back and repeated 1st grade. This was that year. I as looking forward to being a classmate of Cremer; we were very close in age. I have a late Nov. birthday and didn’t make the cut-off. We find that we feel pretty good. You?